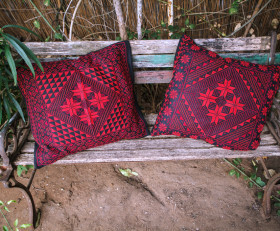 A set of two hand-embroidered pillows from Jerusalem. 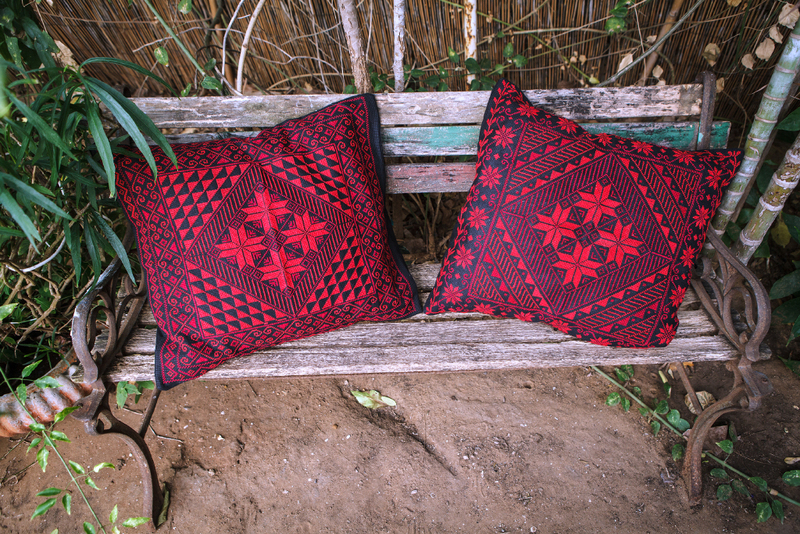 These hand-embroidered pillows were crafted in Jerusalem and represent one of the most common hand crafts of local Arabs , or more precisely , the Arab women. 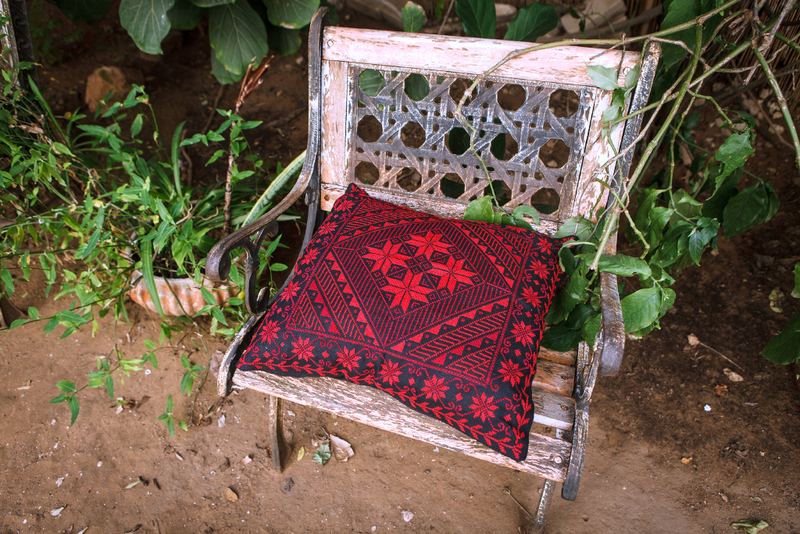 For centuries, hand embroidery using traditional ornaments was one of the main activities of women in the Middle East. 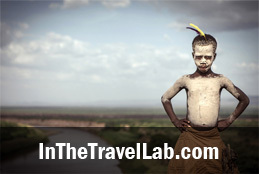 Honing skills for centuries, in the 21st century they reached perfection and they continue the tradition of their ancestors. These pillows will look good solo on a chair, or as a duo on a couch . 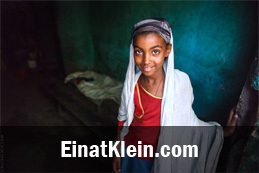 A large number of cultures, nationalities and backgrounds coexist in a very small country of Israel. 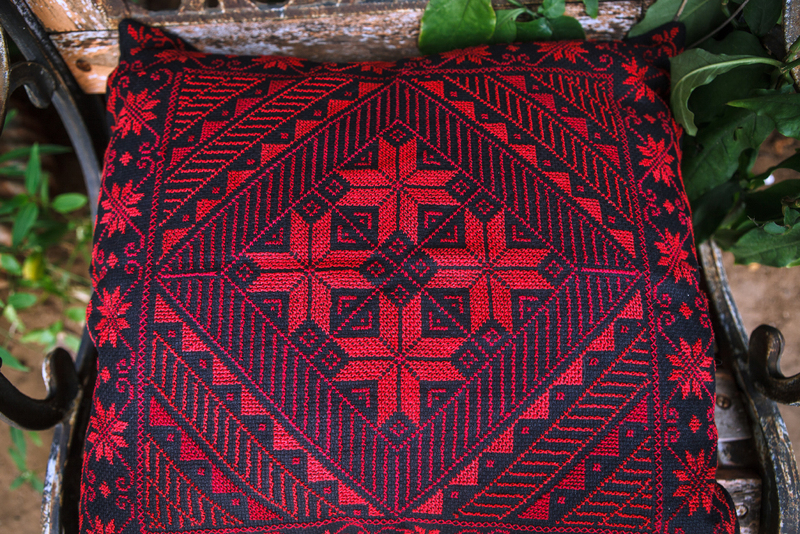 Arabs of Jerusalem and Hebron who live in a beautiful country at the Mediterranean Sea , are traditionally engaged in cross-stitching , decorating pillows, rugs and bags. 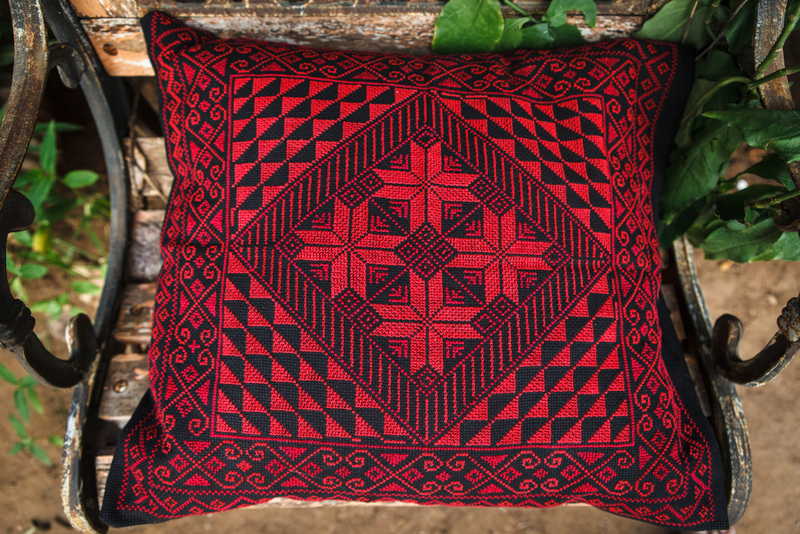 Traditionally hand-embroidered, bright and vivid, but not garish. 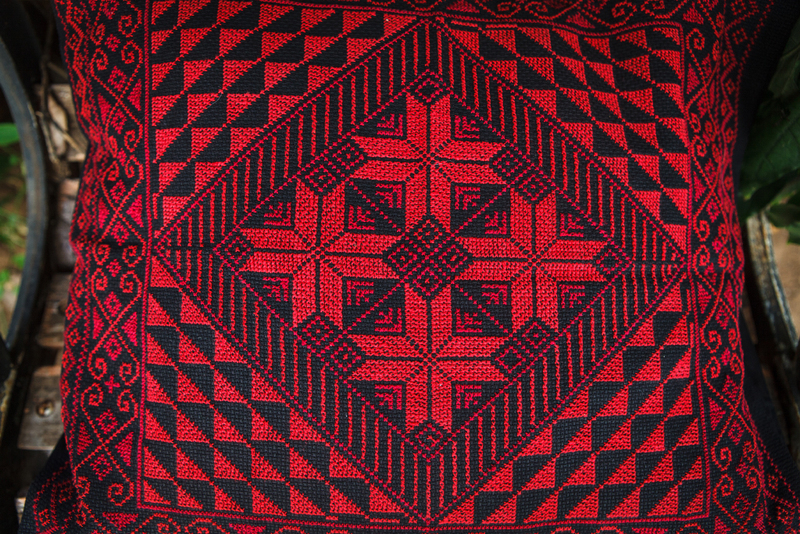 Red, black, green , burgundy and blue are the traditional colors of ornaments from local embroiderers . Quantity: two pillows in a set , the price is per set.